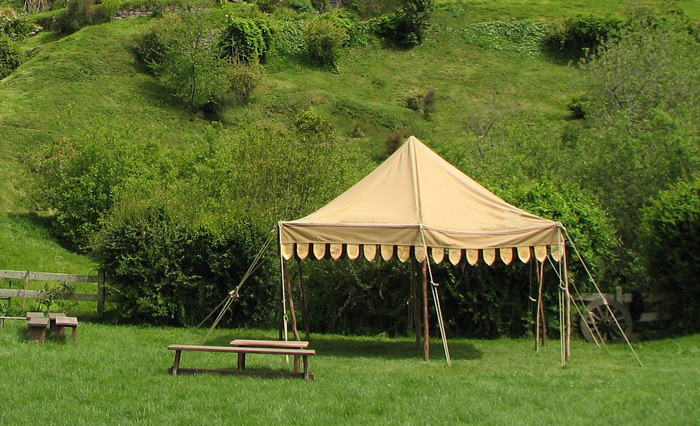 Once you've made the investment in a new canopy, you want to make sure it lasts. 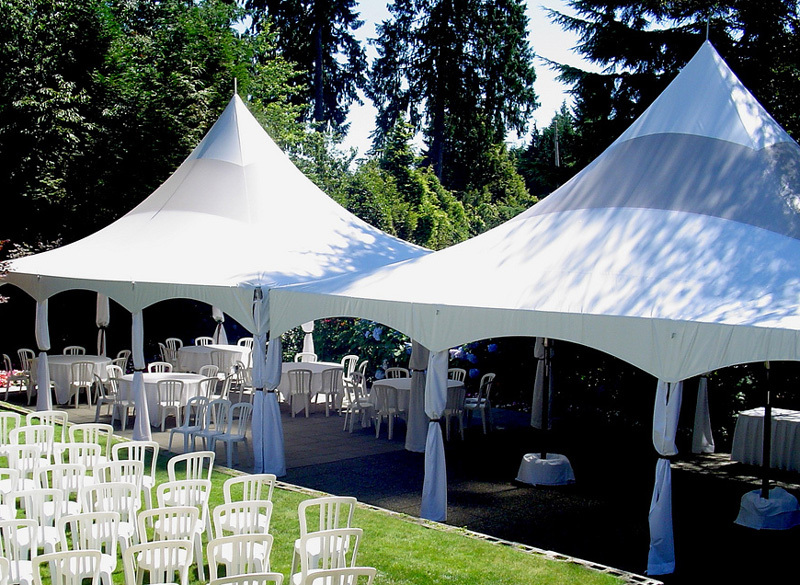 To ensure years of lasting service and proper operation from your canopy, follow these 14 tips, broken down into four categories, for taking the best care of your canopy and frame! To clean your canopy, simply use warm, soapy water. Dish detergent works well and will remove any heavy deposits. Remove the soap off both sides before setting the canopy up to dry. A garden hose with a spray nozzle set to a �flat� setting works well. Spray from top to bottom in vertical swipes until all of the soap residue has been removed. Do not use bleach - it will cause the fabric to discolor. Fully stretch the canopy fabric out. To keep it off the ground, you can use a clothesline, sawhorses, or even the bed of a pickup truck. 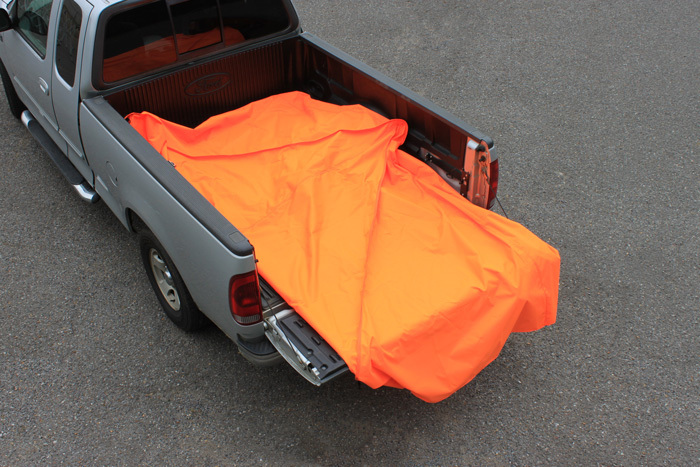 Many trucks will have a black spray in or fiberglass bed liner that retains heat, speeding the drying process. Allow air and light to hit as much of the fabric as possible — this will reduce the chance of mold and mildew. Fold it along existing creases and folds to better help it retain its natural shape. Never bunch up the canopy top or force it into storage bags. The sharp and random folds that will result from this practice severely truncates the expected life of the fabric. Unfortunately, snags and tears are bound to happen for any well used canopy top. When you notice holes and tears, fix them as soon as possible before they continue to rip! If you have a tear, consider a seam sealer or a patch kit. Only wash your canopy frame when it is set up, with legs and sides fully extended. Since structures can vary, consult the owner's manual for the best way to clean your frame. Make sure it's completely dry before putting it away. Residual moisture can cause steel frames to rust! When washing the frame, it is a good practice to check for any loose fasteners. 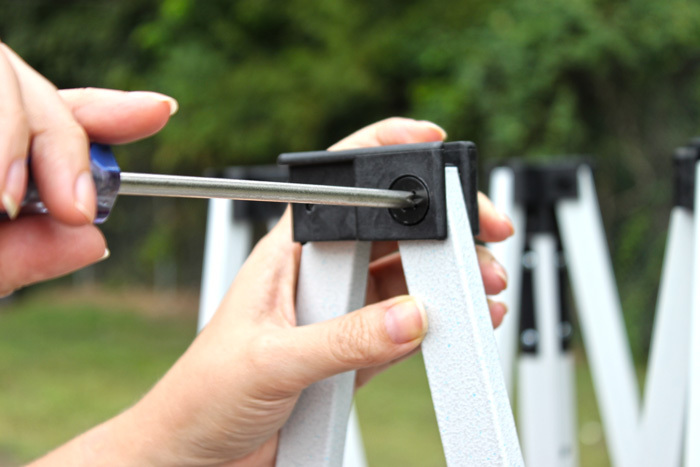 Determine what size bolts, screws, or nuts the canopy frame uses and procure the correct tools. As you are washing the frame and approach each bracket or swivel point, ensure the fasteners at that joint are snug. Take care not to over-tighten the fasteners. Some manufacturers recommend using a sprayable silicone sealant to protect the frame. This can help to prevent debris from sticking to the frame while in use. Consult the manufacturer of your canopy for more information regarding use of these products. Do not use your canopy in strong winds. The design of pop up canopies makes them highly susceptible to uplift. Unsecured canopies may blow over, causing potential property damage or injuries. Don't let rain pool on the top of your canopy. Not only will pooling water cause the canopy fabric to stretch, but the excessive weight may damage canopy truss bars and brackets. Never keep the canopy up when lightning is present. Canopies are not meant for use as a severe weather shelter! If your canopy is not rated for snow loads, do not let snow build up on it. As with pooling rain water, excessive amounts of snow will stretch the fabric and potentially damage the frame. Take careful note of the snow ratings provided in your owner's manual. Most carrying bags for canopies are not universal. Make sure you have the correct one for your specific model! Some are soft-shelled, while others are hard. Pick the right one for you and your model. To make your canopy sturdier, consider using weight bags or gravity tubes. These products are highly recommended if the canopy will be used on hard surfaces that will not allow use of tent stakes or augers. There are a wide variety of canopy accessories. 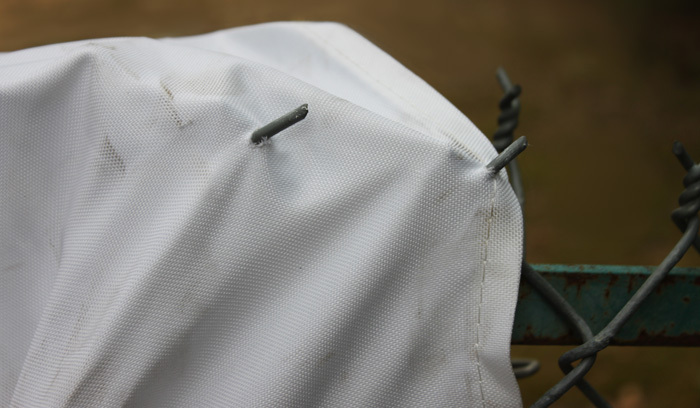 Sidewalls, anchors, stakes, and pole covers are just some of the different ones you can find. Taking care of your canopy has never been easier now that you have this handy list of tips to use. 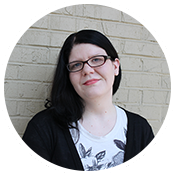 If you have any questions about anything you've read here or have additional questions, feel free to contact our knowledgeable canopy experts or call us at 1-800-445-5611.